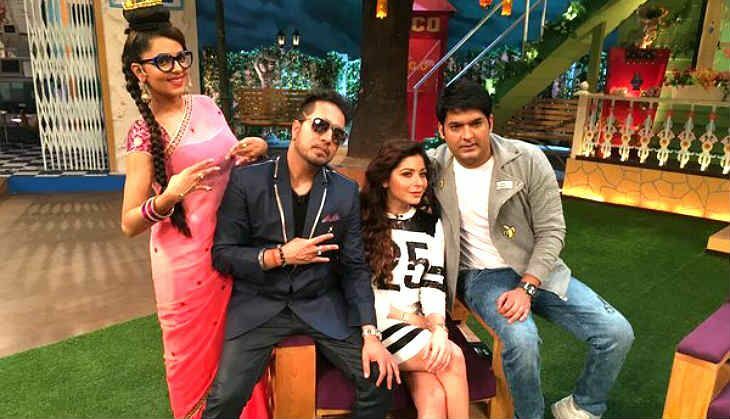 Pop singer Mika Singh may have unwittingly added to the ongoing TRP war between The Kapil Sharma Show and Comedy Nights Live, with his decision to appear on the reboot of Kapil Sharma's popular comedy show. The Sawan Me Lag Gai Aag singer recently appeared as a guest on The Kapil Sharma Show along with West Indies cricketer Chris Gayle and singer Kanika Kapoor. "You all know that I am Kapil's brother. I am a big fan of his show and his timing as well. I have met him after a long time because three-four songs of mine have been launched. And the best way to promote the songs is through the best show - The Kapil Sharma Show." "Shows keep going on. But our bond has been there for the past 10 years. He loves Daler paaji (Mehndi) and I love him. It is good that both shows are working. Paaji's show is going number one, I've come on his show; what could be bigger than that."